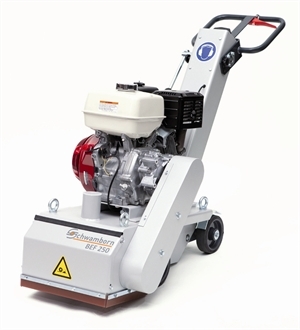 Concrete and screed milling machine for bigger operating areas. Works in forward and reverse directions. The convenient 4 x 4 wheel drive and a two-stage drive mechanism ensure an economical and professional surface finish. Roughening and grooving of concrete and screed surfaces, coating removal and demarking jobs.